Forma-Care Slip Sensitive X-Plus for severe incontinence. With moisture indicators, smooth and soft breathable cotton-feel backing and 4-way elastic resealable tapes. Made of dioxin-free environmentally friendly pulp without additional optical brighteners. 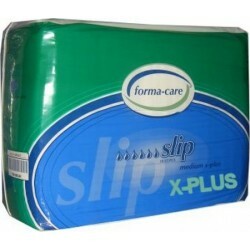 Forma Care Slip X-Plus for severe incontinence. 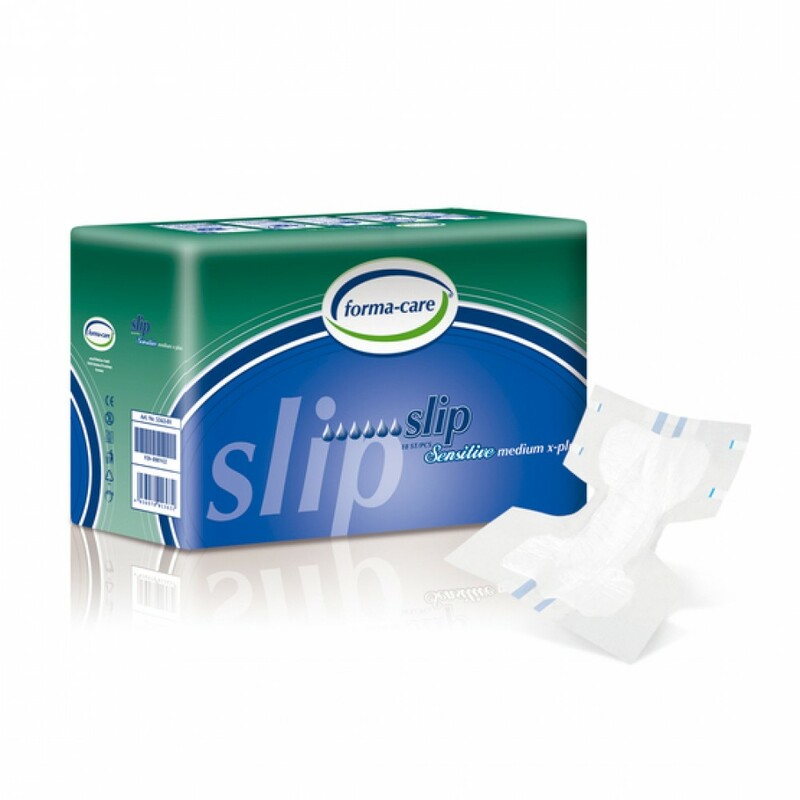 Anti-leak protection indoor anti-leakage barrier..
Forma Care Slip Plus for medium incontinence. 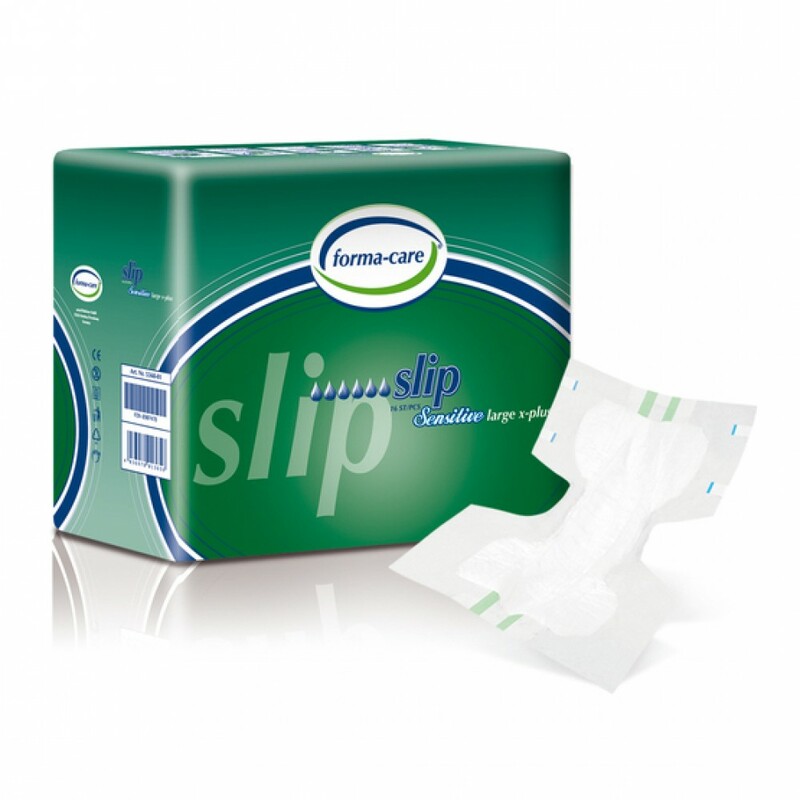 Anti-leak protection indoor anti-leakage barrier s..
Forma Care Slip Super for medium incontinence. 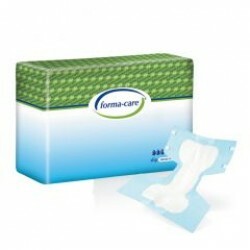 Anti-leak protection indoor anti-leakage bar..
Forma Care Slip Extra for medium to severe incontinence. Anti-leak protection indoor anti-l..
Forma Care Slip Premium Dry are highly absorbent anatomically shaped incontinence briefs with breath..
Forma-Care Slip Sensitive X-Plus for severe incontinence. Anti-leak protection indoor anti-leaka..